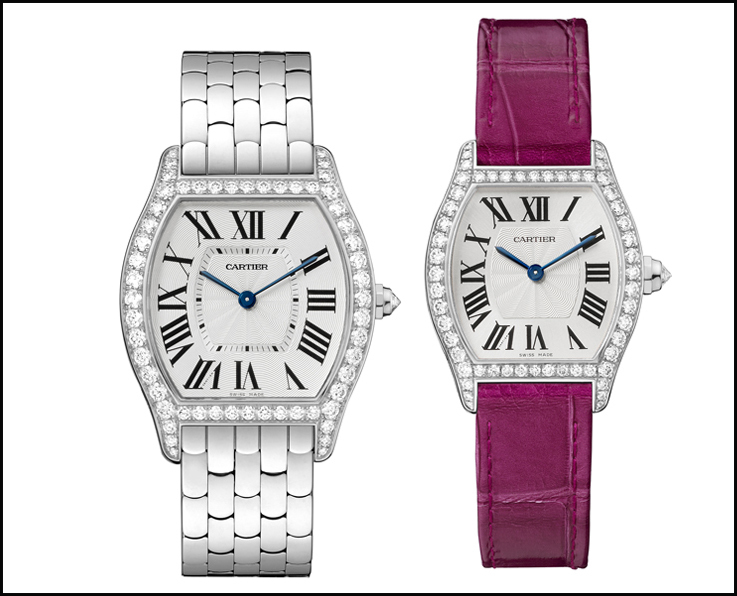 Cartier just pre announced for 2014, four new Tortue ladies models in pink- and in white gold. The Tortue that just had its 100 anniversary was originally designed as a mens model in 1912 and was throughout the years available in fairly small collections. Now this legendary and elegant model will get a major update. 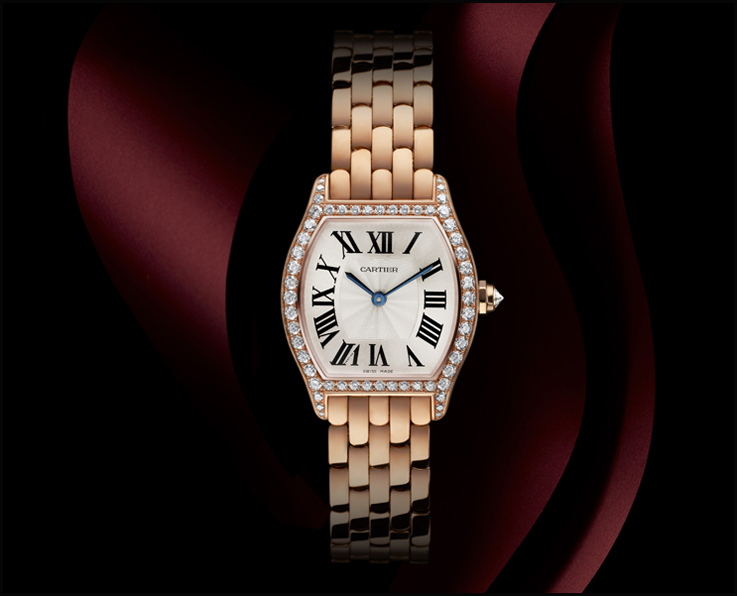 Four new very nice and feminine looking watches will be presented in January at the SIHH in Geneva. There will be two sizes, a Petite model that measures 24 x 30 mm and a Medium model that has a case size of 31 x 39mm. The medium size will be available on leather strap with ardillion buckle, while the Petite model is supplied with the adjustable folding clasp in 18K gold. Another possibility is the completely new designed 5 row gold bracelet, available for both sizes. 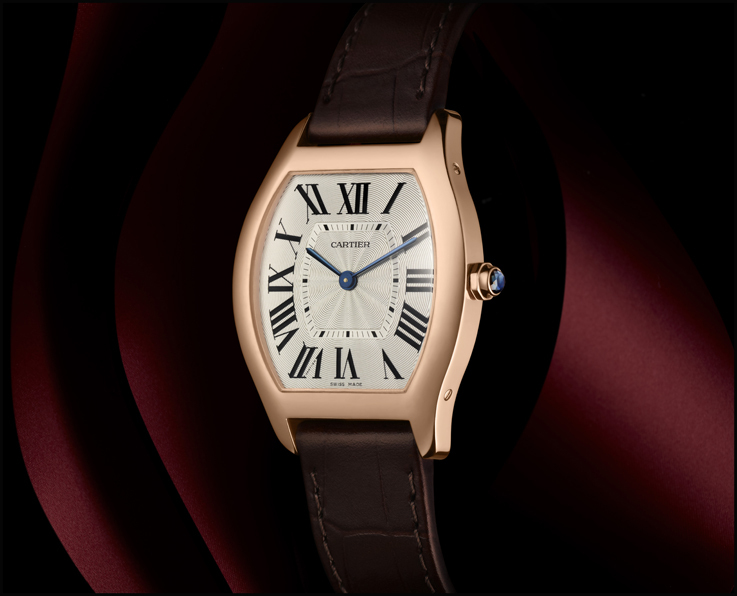 Cartier has always been famous for its amazing looking and very comfortable bracelets with blind closures. 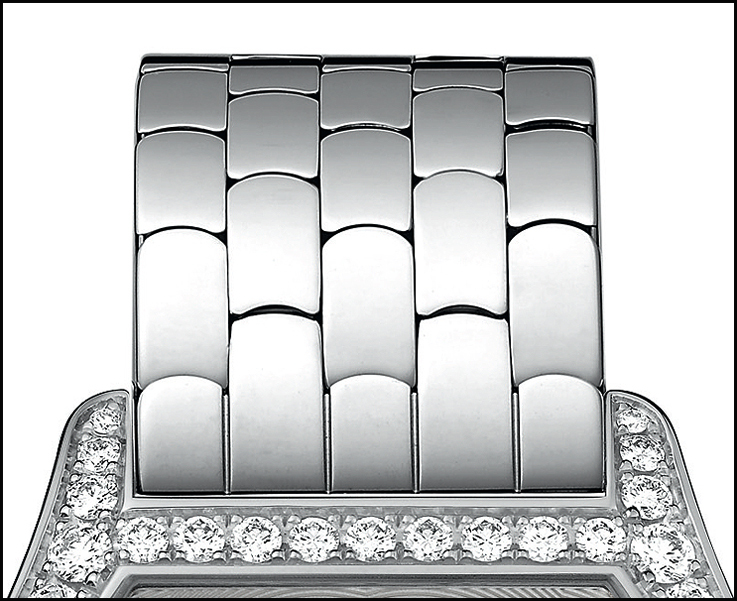 Well this new design is another prime example of Cartier’s endless perfection. Very supple links in style with what the shell of a Tortue actually is. Both sizes are of course also available set with diamonds. 07 Carats for the petite and 1.5 carats for the medium model. Quartz movements have often been used for ladies models, but in this case the medium sized model is equipped with the well known mechanical 430MC hand wound caliber, while the Petite model has the caliber 8970 MC mechanical movement with manual winding. Since we’re talking Tortues; earlier this year two mens models were also added to the collection, so besides these new four small Tortue models, there is the XL version with a sub seconds. A straight forward Tortue model, in white- or pink gold, with that nice complication at the 6 and a Grande date at number 12. 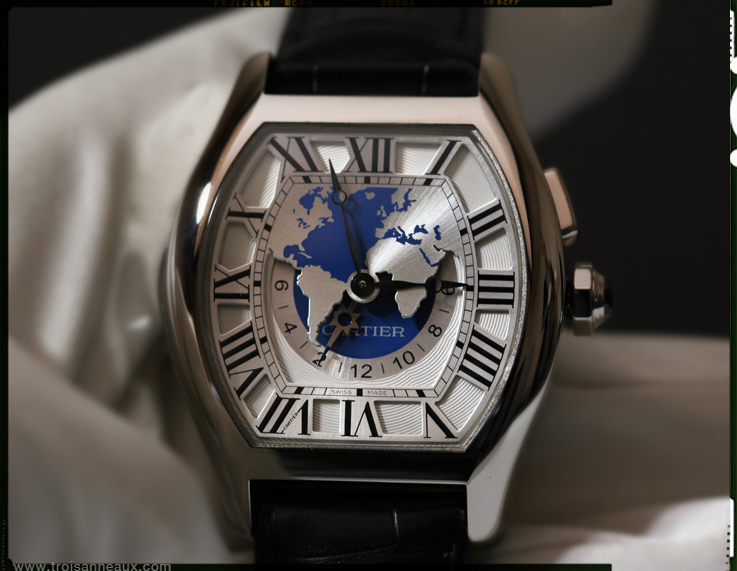 And the amazing Tortue Worldtimer. 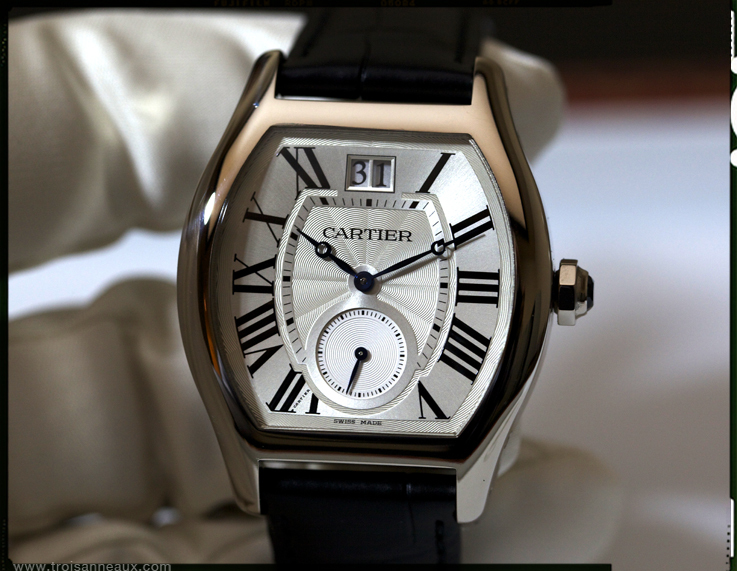 Cartier did very well by not making the dial busy with all the city names. 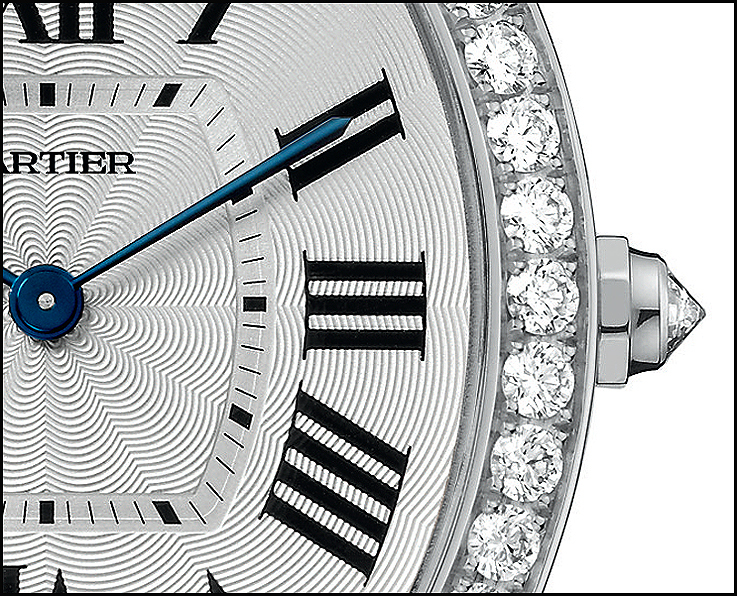 The designers/watchmakers instead created a window in the side of the case, where a mobile disc shows the city names. The pink- or white gold case holds the newly developed 9914MC automatic movement that has a power reserve 48 hours. Great classic watches, these new ladies models and this is only the beginning, so stay tuned.